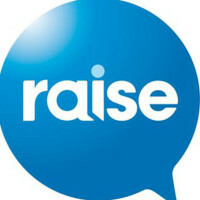 In 2015 Wentworth People are supporting Raise Foundation. Raise Foundation, in conjunction with the Northern Sydney Institute of TAFE, secondary schools and community organisations conducts mentoring programs for young people in high schools. 5 new mentors by February 2015 - DONE! This is an opportunity for us to improve the lives of teenagers facing profound challenges. Mentoring aims to provide a structured and trusting relationship that brings young people together with caring individuals who offer guidance, support and encouragement. Volunteer to become a mentor in 2016. Unfortunately mentoring opportunities have closed for 2015, but Raise would love the opportunity to work with you next year. We had a fantastic response from potential mentors and exceeded our projected commitment. Our team are loving the mentoring process and look forward to engaging more mentors from our network next year.